According to the Consumer Electronics Association, the average household uses about 24 different appliances on a regular basis. These units are here to make our lives easier. However, when one of your laundry or kitchen appliances stops working, it can throw a wrench into your whole routine. At Mr. Appliance of Oconee, we’re here to make sure you never miss a beat. Our skilled technicians offer quality appliance repair services in Athens and Oconee County to help you get on with your day. Find out why customers in Athens, Bishop, Buckhead, Madison, Greensboro, Watkinsville, and surrounding areas trust our team! Call (706) 621-5619 today! Your appliances do a lot for you, which is why they deserve a little extra love and care. When they break, you don’t just want anyone – you want Mr. Appliance of Oconee. 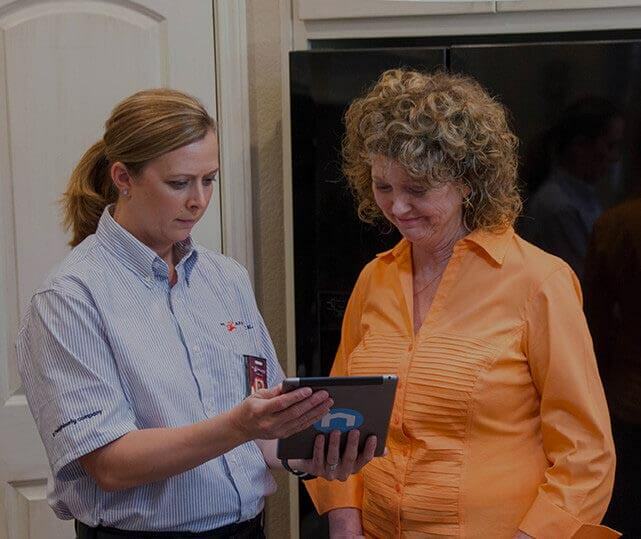 We are the trusted appliance repair company in Oconee County because we have the knowledge, experience, and skill to handle any project our clients present to us. As a locally owned and operated company, we are proud to serve our community. We understand our customers are more than just patrons, they’re family. We treat them with the same level of care, consideration, and respect we would our own loved ones. You can rest assured with us on the job, all your questions and concerns will be addressed. Experience the Mr. Appliance Difference for your self – call (706) 621-5619 today! $20 Off Any Service (of $100 or more) Not valid with any other offers or for diagnostic fee. Valid at participating locations only. Limit one. Locally owned and independently operated franchise.